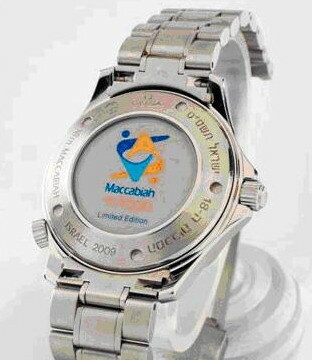 Unusual Israeli Maccabiah Games Seamaster Limited Edition – I Already Have a Watch. Omega Seamaster Professional 18th Maccabiah Games Limited Edition with custom caseback. eBay seller's photo. This is one you certainly don’t see every day. In fact, I had never seen it before at all. 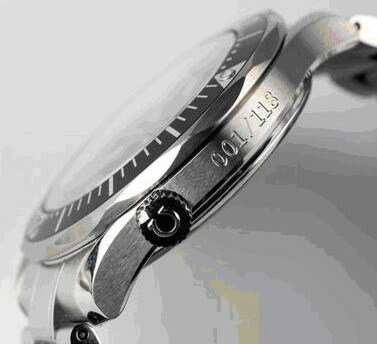 A special Limited Edition Seamaster series of 118 made for last year’s 18th Maccabiah Games in Israel. Much like previous limited edition Speedmasters and the custom military Seamasters made by Omega in recent years, these feature a custom caseback design acieved by priting the custom design on the inside of the sapphire caseback. It also comes to mind that Omega is perhaps lacking in restraint with the special and limited editions, churning out another one of these custom sapphire caseback designs at the slightest provocation and creating and environment where the limited and special editions are effectively becoming much less special. At this point a collector would be challenged to even collect all of the special editions. This one is especially unusual for a few reasons. Not only is the model used based on the Seamaster Professional 2254.50 which had previously been discontinued for regular retail sale, but the Maccabiah features a custom engraving to the bracelet clasp. 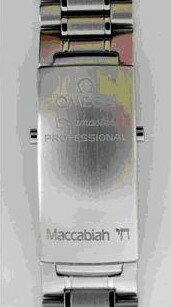 And although it may seem odd on the surface for Omega to have taken the step of making a limited edition for the Maccabiah Games, if we recall Omega’s longstanding close involvement with the Olympic games and that the Maccabiah games are an athletic competition it seems a little more fitting. Special Air Service (SAS) Omega Seamaster Professional 2254.50! 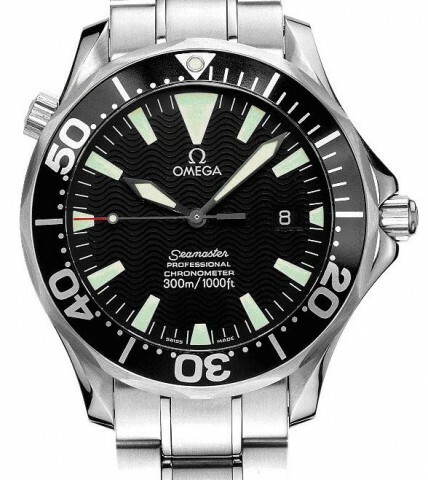 Tagged with limited edition, Omega Watches, seamaster.